Chris Duke begins working on a 2000 Ford Ranger, and Alan Taylor takes you to the Spring Mountain Motor Resort, then checks out the 2017 Volvo S90 in Spain. Welcome to the 91st episode of Motorz! 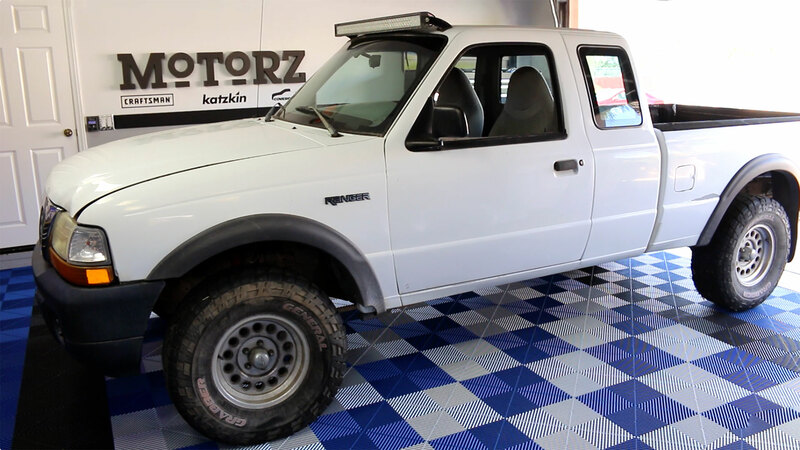 In this episode (S07E07), Chris Duke takes on a new project vehicle, a 2000 Ford Ranger 4×4 6.0L V6. He begins by fixing the decaying spray-in bedliner with a Duraliner drop-in bedliner, then swaps out the crusty old exhaust with a shiny new Magnaflow cat-back exhaust kit (part #15679). Then Alan Taylor shows you a desert oasis called the Spring Mountain Motor Resort & Country Club with his son, Jonathan, and you’ve got to see what he saw to believe it. It’s absolutely amazing. Once he’s done there in Nevada, he flies to Spain (yes, Spain!) to test drive the new 2017 Volvo S90. In Partz, Chris shows you how he and his daughter installed Swisstrax Garage Flooring in the Motorz TV studio.